We’ve had a week of frantic activity at Calcutt. It’s always the same. When we put the hire fleet to bed for the winter at the end of October, the start of the following season seems an impossible distance in the future and then, all of a sudden, the future has arrived and we’re not quite ready. While I don’t play a direct part in any of the boats’ refurbishment, I do assist the fitters and wharf staff whenever I can. This usually entails moving the boats they have finished with from the workshops in the marina up through the two lower locks of the Calcutt flight to their home on our wharf. Nine of the twelve boats in our hire fleet are now moored on the wharf ready to go, and two were taken out by the first hirers of the season on Friday. Patrick and I have been doing some last minute frantic cleaning and tidying ready for the hirers. Retaining walls around the flower beds and around our wharf diesel tanks have a fresh coat of snowy white paint, the wharf-side flower beds have been cleared of weeds to show off hundreds of bright yellow daffodils, we’ve cleared up after the contractors who spent a frantic day installing new block paving over the old concrete next to our boats for sale area and the grass has been cut and strimmed to perfection. All we need now is customers. As well as ensuring the site looks its best I’ve been trying to do the same to my boat. You know I’m incompetent. I’ve told you often enough. I’m frequently frustrated when I try to do the smallest jobs on the boat. I fitted two stainless steel fender hanger to the boat’s starboard side last summer. I broke three drill bits at £5 each. The simple job took me two hours. Last November I bought some very expensive polycarbonate secondary double glazing panels and an even more expensive magnetic fixing kit. The instructions were simple. “Fix the adhesive backed steel tape to your window frame. Fit the adhesive backed magnetic strips to the polycarbonate sheets.” That was pretty much it. What could go wrong? Plenty actually. They all fell off. Not some of them, all of them. At least I’m consistent. I’ve fitted tiles which have also fallen off, navigation lights facing the wrong way (they were on the boat for six months before the glaring error was pointed out to me), door handles at an angle, picture frames which have fallen off the wall… the list goes on and on. It’s reached the stage of our relationship now where Sally doesn’t even bother asking me to do anything. She tries to do it herself and usually makes a much better job than I could ever hope to, and if I’m foolish enough to say something like, “What are you doing with that manly power tool? That’s my job. Let ME fix it for you!”, Sally just gives me a knowing and disdainful look then carries on. It’s a sad state of affairs. Here’s a recent example; we had a leak. Every time either of us had a shower, we would have water dripping, almost flowing, from the pine panel just above the gunnel in the bedroom. Even I could put two and two together and work out that, as the same pine panel ran through the shower cubicle, water was getting behind the panel in the shower and running back eight feet to the bedroom. I gave the problem my usual ineffective attention. I couldn’t see a leak but decided to strip the existing sealant off the shower cubicle and reseal all of the joins. I was pleased with the end result. Better than that I was proud of my workmanship, so proud that I almost insisted that Sally have a shower as soon as the silicon was dry. I sat in front of the fire smugly listening to the sound of happy splashing coming from the bathroom, and then the not so happy scream as Sally walked into the bedroom to find that, far from being cured, the leak was worse than ever. As soon as it was safe to come back in to the boat, I suggested to Sally that we ask a proper man to have a look at it. She gave me one of her best you-should-have-done-that-months-ago looks which I read as enthusiastic agreement, so we called one in. Before he arrived, Sally and I sat down and made a list of all the things which needed doing and which we both agreed were beyond me. Needless to say, virtually all of the outstanding jobs went on the list. Sally is still going to allow me to screw a new coolie hat onto the chimney providing I’m happy to work under her supervision, but that’s about it. The list included fitting internal locks and clam shell handles on the front door, internal locks, clam shell handles and restraining latches on the rear doors, replacing all of the old ceiling dome lights with new LED domes, fixing or replacing the kitchen extractor fan, building a shoe rack in the alcove beneath the starboard centre hatch, curing the draught (gale force wind) coming through the poorly fitted front doors, curing several small engine diesel leaks, finding out why the engine is losing water, replacing the ring main wiring to comply with BSS regulations and, of course, finding and curing the shower leak and then fitting a folding shower door to replace the current curtain and, last but not least, moving the shower pump switch from its original and very inconvenient position at the back of the bedroom wardrobe into the bathroom where it can be reached from the shower. Our knight in shining armour arrived at 10.30am on Monday, exactly on time. His name is Matthew (Matty) Smith. The boating world is a small one. I’ve heard his name mentioned a few times, including on the site forum once or twice. He’s friendly, competent and was very honest about his limitations. He has a range of skills including plumbing. After I had walked him through the boat pointing out what needed doing, I asked him if he was able to fit a full central heating system. Calcutt Boats are supposed to be doing it for me but they have so much work on at the moment that I’m not sure when they are going to be able to fit me in. Matty told me that although he’s fitted one central heating system in the past, he’s never fitted a Webasto and that I would get better value for money having they system installed by an experienced fitter. The confession enhanced my faith in his ability to tackle the jobs he’d agreed to do. As we looked at each of the jobs he quickly offered a solution to each of the problems. When we came to the shower I told him about the remedial work I had already done and suggested that the leak was probably going to be quite difficult to find. He didn’t say anything but gently poked the sealed pine strip that runs through the shower cubicle at waist height on the port side of the boat. “This pine is spongy in this section here. “The shower water is pooling on top, then running down behind the panel here. This is definitely where the leak is.” The cause of the leak was obvious once he had explained it. I’m constantly frustrated by my inability to see these things myself. Matty “never say no to a coffee” Smith was with us for the rest of Monday and all day Tuesday. The front doors are now secure and decorated with some very nice brass handles, there’s no sign of a draught through them, the kitchen extractor fan and switch have been replaced, the shower leak has been stopped by fitting some very neat white plastic trunking over the damaged pine then resealing the shower cubicle, the shower pump can now be turned off without having to walk naked and still dripping wet into another room, there’s a lovely new and very bright LED ceiling dome to illuminate the very dark bathroom space, there are brass handles and brass external retaining catches for the rear doors and I’ve been given a shopping list for the other jobs he hopes to tackle when he returns next week. I’ve ordered seven more LED ceiling domes, a Smart Gauge battery monitor and a shower door from Wesley Marine Windows. I had a problem finding a shower door to fit the front of the shower cubicle. Nearly all of the shower doors available are from mainstream suppliers who cater for customers with standard sized room in bricks and mortar homes. The standard height available is 1780mm which is too tall to fit in a raised shower tray on a boat. Wesley make windows for boats and also supply slightly shorter shower doors. Our new door is 1635mm high which, when fitted, will just leave a small gap between the top of the door and the ceiling’s pine cladding. The shower door was ordered on Tuesday and arrived Wednesday afternoon. Great service. Thank you Wesley Windows. The new ceiling lights arrived two days later and I’m still waiting for the battery monitor. Hopefully it will be here before Matty returns to fit it. If you’re a typical narrowboat buyer, the purchase of your boat will be the largest you will ever make after your house. In fact, if you’re having a bespoke boat built, you may well be paying as much as you would for a small house. When you buy a house you can rely on your solicitor, their paperwork and the checks they carry out to ensure that everything is above board. Even when you buy a car it’s pretty easy to check whether the seller is the legal owner and whether there is any finance outstanding on the vehicle. When you buy a boat it’s not so easy. You can’t check for outstanding finance and it’s difficult to check on ownership. The most thorough checks you can do are to ask to see an original bill of sale and then a paper trail of invoices for maintenance and repairs, mooring and license fees and any other boat related purchases which span the period between the bill of sale date and the current date. You also need to check that the person selling the boat has the same name as the receipts and invoices and, if you decide to buy the boat, that the account you transfer your life savings into is in the same name as the paperwork you have checked. Many car buyers would rather buy from a reputable garage rather then dealing directly with the seller so that the garage can do all the checks into legal ownership for them. With boat sales, rather than go through a garage you go through a broker, but what checks can a broker do if there is no official register and if outstanding finance can’t be verified? The simple answer is that they can’t do any more than you could do yourself. They ask the boat owner to sign a document stating that they are the legal owner and that there is no money outstanding on the boat. What the broker can do for you is hold the money you pay them until the boat is in your possession before handing the money over to the seller, and mediate between buyer and seller if liability needs determining if any remedial work is necessary before the boat’s sale is completed. Even after the most stringent checks carried out by either you or your broker, you can’t be sure that there isn’t any finance outstanding on the boat. Here’s a cautionary tale about a couple who spent £23,000 on a boat and then invested another £8,000 on repairs and refurbishment. They were then contacted by Clydesdale bank who told them that the previous owner had taken out a loan to buy the boat and that there was still £26.000 outstanding. The story has a happy ending but only because This Is Money magazine intervened on their behalf. I’ve been told by a broker that it’s not actually possible for a loan to be secured on a boat and that the lending institution would have to pursue the person who took out the loan rather than the boat that the loan was used to buy. If that’s true then Clydesdale bank wouldn’t have had a leg to stand on. The problem of course is that the bank had the financial resources to bully new owners into accepting liability. I suspect that the bank would have been successful if it hadn’t been for the magazine’s assistance. I don’t know what would happen if the new owners of a boat purchased through a broker was later found to still have outstanding finance. Would the broker accept liability? I suspect not. So you can’t tell for sure whether there is outstanding finance but there are several things you can do if you are buying from a private seller to ensure that the substantial amount of money you are paying for it is protected until you have your new boat in your possession. “As an ex corporate financier (among other things) one of the things that concerned me when I bought my boat a year ago was what happened to the deposit money and, more importantly, the balance monies before I took physical delivery of the boat. It is a bit of a nightmare. Slightly different if you are buying privately but similar considerations apply. If the broker goes into liquidation after receiving your money and before you receive the bill of sale (and the boat) you will be an unsecured creditor and very unlikely to get any money back. Normally people will pay by cheque which will take 3-5 days to clear. A bankers draft is not guaranteed so the broker will insist on waiting until it clears (3 days?). Some brokers claim the monies are kept in a separate client account. All solicitors use these (and they are securely ring fenced – fraud excepting) but from my research it is very unlikely that any brokers have a “safe” client account. Mostly they are just a separate account which would still be part of the broker’s assets in a liquidation. If they claim to have a ‘proper’ client account (at least one does) I suggest you ask for written confirmation from their solicitors or accountants that the account is properly ring fenced ie confirm that, in the event that ABC Ltd goes into liquidation, your monies will be returned to you. The solution I found was to pay by debit card, in person, and have the bill of sale handed over simultaneously. The broker kindly also reduced the amount of deposit required. Note some banks will set a daily limit on the amount you can pay, which would scupper this option. With “faster payments” it might be possible to use a BACS transfer (free), or a CHAPS transfer (about £50 I think), but you might be sitting in the broker’s office a few hours until the transfer takes place. Another possibility would be to pay the monies to the broker’s solicitors (if they have one) who hold the money in their client account, just like the sale of a house, but fees would undoubtedly be involved. I briefly discussed paying the owner direct – the broker might insist on deducting his commission, which you would have to pay direct to them, but this is obviously not without problems. “Alan makes several valuable observations here about the risks and practicalities of transferring a large sum of money in a boat purchase. We purchased our own boat last year in what became an extremely stressful transaction. It was a private sale. The seller was not a well-educated man and I had only ever met him at the boatyard, not at his home. I had no proof that he was who he said he was and more importantly, he had no proof that he owned the boat. The boat was lying 180 miles from my home and the seller (allegedly!) lived a further 70 miles away. The seller had no computer or email, and because he wasn’t very worldly-wise his workmates had filled his head with all sorts of nonsense such as the idea that if I transferred the money into his bank account and took the boat, I could then a week later reverse the transaction and take my money out of his account again! So he didn’t trust me at all and yet he couldn’t understand my concerns about whether he had full title to the boat he was selling since he had no paperwork. Things went downhill when I had the boat surveyed. I appointed a surveyor who advertises widely in the canal press. I was unable to attend the survey but of course the seller did. He asked the surveyor what the boat was worth and to my everlasting incredulity the cretinous surveyor, who was working for me and being paid by me, told the seller his boat was worth £9,000 more than the price I had agreed to pay! Predictably the following morning the seller re-advertised the boat on ApolloDuck for £9k more. You might think we should walked away but the boat was the one, it was the best match for our requirements in four years of research and hunting. We didn’t want to let it go. The seller banked at the branch of Barclays near the boatyard so I offered to open an account at the same branch and deposit the funds there, and then accompany the seller to the branch to transfer the money from my account to his. Sadly Barclays said this wasn’t possible because the transfer would still have to be done by CHAPS and wouldn’t be instantaneous. A bank counter cheque wasn’t possible because they can be stopped by the issuing bank in certain circumstances. I even considered cash but with a purchase price of £75,000 this was neither practical nor risk free; neither of us would know if the notes were forgeries! In the end I took the biggest risk of my life and I transferred the entire sum by Faster Payments into his account the day before I was due to collect the boat (my bank’s limit was £10,000 per transfer so I had to do eight separate transfers, all of which immediately went through). He could have disappeared completely, or it could have turned out that the boat wasn’t his. I was so unsettled by this that having transferred the money I booked myself into a Travelodge near the boatyard and kept vigil through the gates of the locked boatyard for much of the evening and night to check that the boat didn’t disappear! “Yes, it is a pretty complicated/grey area. When you consider some people are paying the same as they would for a small house, the contracts and the whole process leaves much to be desired. I think Nottingham Boat Sales are unusual, in that they will refund the full deposit, if faults are found by the survey and ”agreement cannot be reached by renegotiating the price or by fixing the fault”. I think most other brokers (certainly two which I had dealings with) only refund the deposit if there are faults which impinge on the BSC – unfortunately I did not keep the copies so perhaps you should just say it is something that buyers should check. NBS require 6 working days for cheques and bankers drafts to clear. One other thought I had when buying was to examine a copy of the brokers accounts to check their liquidity. Also, if buying direct (or paying direct to the vendor, which was muted when I bought), to carry out a credit check on the vendor – this should disclose whether he has any loans outstanding (I do not think it would disclose whether one was specifically on the boat) and help to verify his bona-fides. Voters roll could also be checked to verify identity. One suggestion would be to pay some or all of the deposit by credit card. This may give protection under s75 of the Consumer Credit Act, but only if the cost of the boat is below £30k. It is a grey area as the broker is acting as a third party and AFAIK has not been tested in the courts. I hope you’ve found this information helpful. You may consider some of the checks and the time they’ll take excessive but when you consider the time it takes to save the purchase price of even a modest second hand boat, and the speed at which it can be transferred out of your account into one belonging to a complete stranger, the relatively small investment in additional time to safeguard your savings is one which you need to make. If you have boat and have some useful information or an interesting story to share about the purchase, please email me. It’s an important subject so the more information I have on the site about the subject the better. Morialta 11 – Here’s another couple who have sensibly decided to retire early to enjoy life in the slow lane. They keep their boat at the bottom of their riverside home when they aren’t cruising, which doesn’t appear to be very often. I particularly like the iconic photo’s they sent me to include with their case study. I always like to receive articles from site subscribers. The articles allow me to add to the mass of information on the site and give site visitors a bit of a break from my own style and content. There are a few site subscribers who have their own blogs on the site so they can publish their own blog posts without my assistance. Two of the more active posters are Our Nige and Pearley. Pearley has posted the latest in his “Rough Guide” series of cruising notes. This time it’s the Ashton canal to complement his guides on the Rochdale, Huddersfield and Calder & Hebble canals so, if you fancy trying the South Pennine ring, you’ll find this guide very useful. 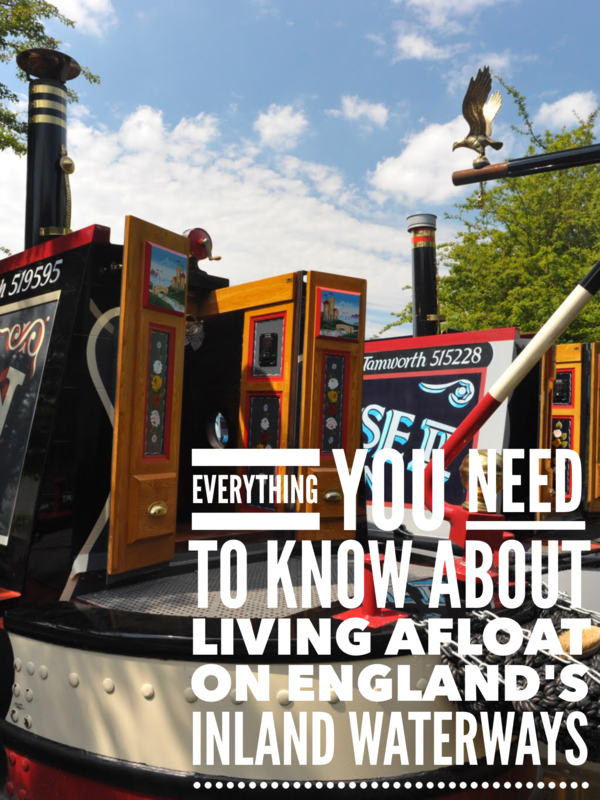 Our Nige likes to share his down to Earth, warm hearted ramblings with us now and then about the joys of living float (and the joys of visiting his local pubs). Here’ are his latest observations about the pleasure of living a simple life in the slow lane. The last few newsletters have included cooking tips from other boaters. While I though the tips were very useful, I was just a tiny bit jealous as many of them required a solid fuel stove larger than my own modestly proportioned Torgem to either balance pots on top or place in the ash tray underneath. This week I thought I would move away from the tips I can’t use and provide a tip of my own. Parachute cord. That’s my tip. I always keep a 100m reel on board. The stuff I use isn’t genuine parachute cord so you wouldn’t want to use it to support you if you jumped out of a plane, but it might just do tied to an old waterproof if you find climbing down from your boat roof a bit of a chore. I use mine for tying to my recovery magnet when I, quite often, drop metal objects into the water, as temporary shoe or boot laces, dog leads and fender hangers. It’s very useful stuff. This is the cord I use.